A real Cuban Partagás Serie D band. 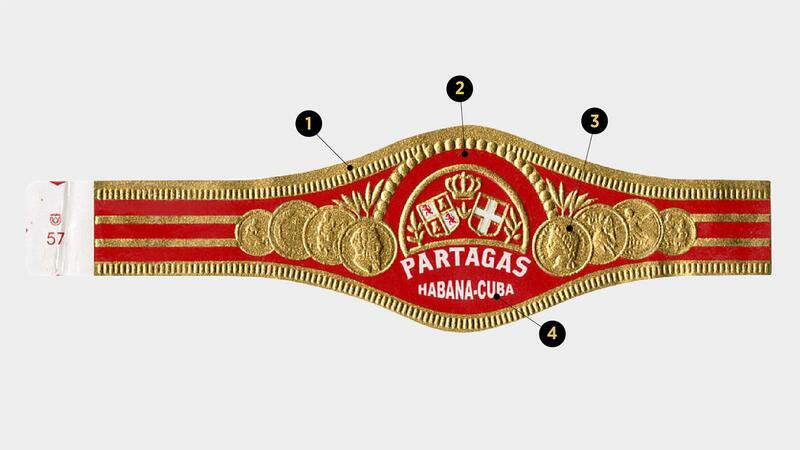 Cuba’s Partagás brand is large and includes the rich and bold Lusitania, a double corona, as well as one of the best-selling handmade cigars from Cuba, the robusto-sized Serie D No. 4. Along with the Serie D line, other extensions include the Serie E and Serie P lines. Together they are known as the Alphabet Series, and each wears a different band from the core Partagás line. The popular alphabet series is a Partagás extension that includes the Serie D, E and P lines. These cigars wear a different, simpler band than the core Partagás brand. The brilliant red color still remains, and each alphabet line band is the same, save for the letter and vitola (or size) information. Two gold lines, which are both embossed, run along the the top and bottom of the band. The gold lettering of the vitola is also embossed, and should shine when held under light. 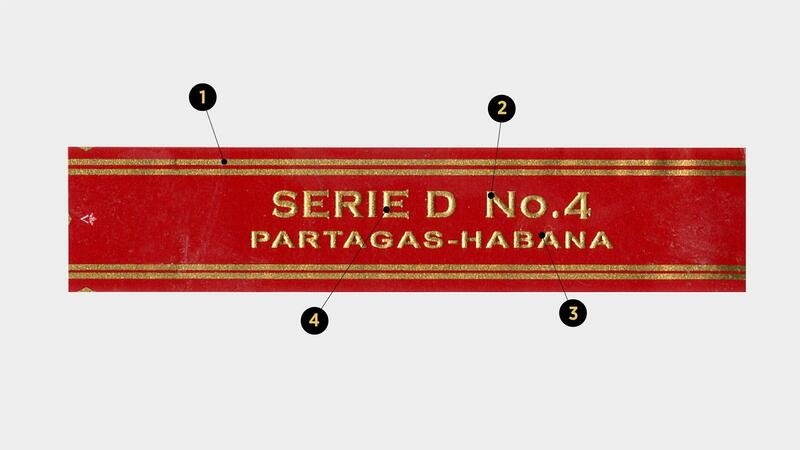 The words “Partagas - Habana” appear under the alphabet line extension name and vitola and are also embossed. The name of the line is also embossed. The band of an authentic core Partagás. The luster of the gold border shows when held up to light. If you run your fingers along the gilded border, you should feel raised notches. The gold coins that flank the center symbol on both sides are not only finely detailed, but embossed, too. The bright white text of the lettering should not bleed into the surrounding red at all. Also, note the serif style font of each letter.